The Stuart Wines Company is a family-owned business dedicated to the production of premium wine from two of Australia’s finest grape-growing and wine producing regions, the Yarra Valley and Heathcote. The company origins began in Jakarta, where the Widjaja family is based. Son Hendra was asked by his father to leave his businesses in Jakarta, take his young family to Victoria in Australia and establish a vineyard, not just simply buying an existing one. Having heard from Phillip Morey of Business Victoria that the wine industry in that state was a business opportunity not to be missed, Hendra’s father was very keen to test his son’s capabilities in establishing the venture. Hendra was further persuaded to explore opportunities elsewhere by the Jakarta riots of 1998. Packing their bags, Hendra and family arrived in Melbourne on 5 August 1998. After extensive research involving traveling to many wine regions, finding out what a vineyard looked like, tasting wines and talking, the Yarra Valley was selected as the region to establish a vineyard. The Gruyere / Coldstream area of the Yarra Valley was the preferred location due to the excellence of the wines from the wineries in this area, such as Yarra Yering, Coldstream Hills and Mt Mary. In June 1999 the first of three properties was purchased, in Cahillton Road, Gruyere. “Cahillton” was to become the label of one of the company’s premium wine range ( although Hendra always said that is because the wine is going to be supply to RITZ CARLTON & HILTON hotel). Using a local contractor to set up and manage the vineyard, planting of the first 24 hectares commenced on the Cahillton property in spring 1999. It wasn’t easy. It just happened to be one of the wettest winter and springs for years. Tractors and trucks got bogged and posts had to be distributed by hand. A dispute with the contractor saw the end of this relationship, further complicating matters. Hendra decided to take control and manage the vineyard development himself. He assembled his management team, including his newly appointed vineyard manager John Arnett, a one-eyed retired plumber, Hendra’s younger brother Yudy and Ian Macrae, the vineyard consultant to start managing the newly planted vineyard by the 2nd week in January 2000. Concerned about the lack of security on the property, Hendra also assumed the role of security guard. In early December 1999 he took up residence in the machinery shed, sleeping on a mattress on the floor and sharing the company of the farm mouse. Hendra spent two months living in the shed, celebrating Christmas and New millennium by himself & the mouse if he notice them. 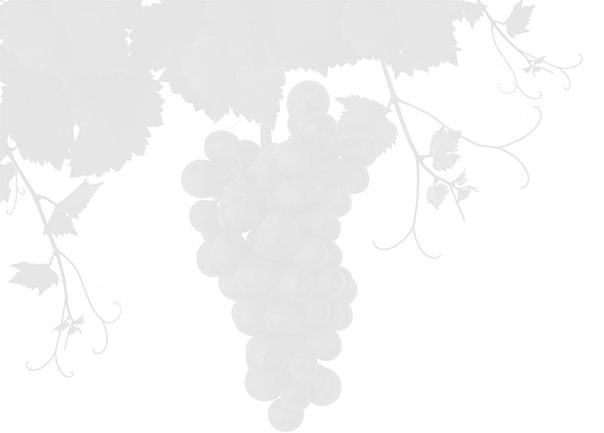 The planting of the Cahillton vineyard was completed by December 1999 a week before Christmas. Hendra became multi-skilled during this time, driving tractors, learning the operation of the irrigation system, spraying weeds as well as coming to know the customs and traditions of Australian workers. He also discovered the pleasures of Australian beer. One of the most frequently observed traditions was after work where staff got together a shared a few drinks. Hendra quickly became known as the perfect host, maintaining a full refrigerator at all times and entertaining guests with his sense of humor and enormous fund of jokes. The shed at Cahillton became the party centre for the area for staff and the neighbors, most of whom are apple growers. Two additional adjacent properties were purchased in November 1999 and March 2000, increasing the total property area to 100 hectares. Both properties had been previously used for grazing and plans were prepared to plant these areas to vineyard. Things appeared to improve when Hendra moved out of the shed and he and his family moved into a small 30 years old house known as the “Cottage”, on one of the new properties in February 2000. Life in the tiny “Cottage” had become very difficult for the young family so an architect was called in to design something more suitable. The new home was completed by Christmas 2000 and it was with enormous relief that the family moved in. Hendra and his father had heard great things about the Heathcote wine region in central Victoria and visited the area on a number of occasions to assess its potential. They were stunned by the quality of wines, impressed by the low cost of land relative to the Yarra Valley ($5,000 versus $30,000 per hectare) and convinced by the availability of suitable land. In early 2000 the first of three properties were purchased in the Cornella area, about 25km north of the Heathcote Township. The property lies on the east-facing slopes of the Mt Camel Range; a rugged line of old weathered Cambrian hills. The district is now enjoying spectacular viticultural expansion, with a number of major Australian wine companies now establishing large vineyards. Stuart Wines Co now own 300 hectares of land in the Cornella area. Development in 2000 included planting an additional 32 hectares of vineyard on the Yarra Valley properties and 46 hectares at Cornella. Two hundred km separated the properties, which leave Hendra no choice but frequently shuttling to and fro remembering that his family was waiting for him for dinner. The first vintage from the Cahillton vineyard was in 2002. 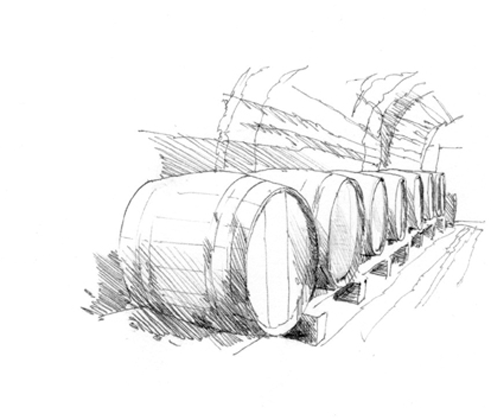 The wines were made in the machinery sheds with supervision by Peter Wilson, of Yarra Yering fame. For the 2003 vintage a small purpose-built winery was constructed but it quickly became clear that for future expansion, Cornella was the place to be. The “Whitebox” winery was constructed for the 2004 vintage, crushing 1,500 tones in the first vintage for grapes produced on Stuart Wine Co vineyards and grapes processed on behalf of contract clients. The design, project management and operation have all been undertaken by Hendra, other capable family members and Stuart Wines Co staff. Stuart Wines Co has now developed 63 hectares of vineyard in the Yarra Valley and 67 hectares at Cornella and constructed a world-class winery at Cornella. The company has also developed the White Box, Cahillton, Birds of Paradise and Four Seasons wine brands and has established distribution for these wines in a number of countries, ably directed by Export Manager Rao Krishnan. Stuart Wines Co has become a complete, vertically integrated company, modeling itself on a number of successful privately owned Australian small to medium sized wine companies. Throughout its development, Hendra as company general manager has steered the company, learning every aspect of the business as he went. From not knowing what a vineyard looked like when he first arrived in Australia, he has come a long way.